Discussion in 'Other Watch Brands' started by Archer, May 10, 2011. In a post I made on the sales forum, Dex asked about working on older movements, and how I keep track of where the parts go. For many modern movements, there are technical guides for the servicing of the movement. These give general information with regards to the lubrication, adjustment, and assembly of the movement. They are pretty complete, but don't give you everything you need to know - for example they will tell you what type of lubricant goes where, but won't tell you how to apply it. 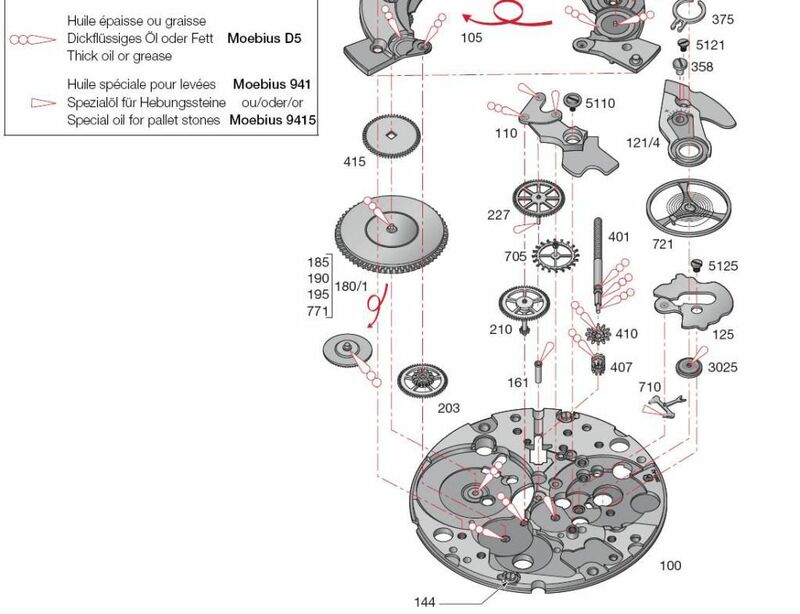 In many cases it's pretty straightforward, but looking at a tech guide won't tell you how to oil an escapement properly for example. This gives you the lubrication types, where they go, an exploded view, and not shown here but included on each page is a guide on the order of installation of the various parts. I enjoy working on many vintage pieces as they offer something different, because I can pretty much service an ETA 2824-2 in my sleep as it's a common movement I work on. Many vintage watches have different layouts and different ways of accomplishing things, so I find them quite interesting to work on. Hope this answers the question. As always, more questions are welcome. As always, great post and info. My question is what defines vintage? To me vintage is prior 1950 or minimum 60 yrs old. Your comments still apply? My watches go from 1910 to 1950 - That IS vintage? No? 'When this you see, think of me and bear me in your mind. Good question - I don't believe there is a clear definition of what constitutes "vintage." Certainly anything from 1910 to 1950 is vintage, and possibly antique. I believe US customs laws consider any furniture more than 100 years old as antique. In my personal view, vintage includes watches newer than 1950, but not newer than say 1980 - but again this is sort of arbitrary and you will be hard pressed to find people who agree on this. 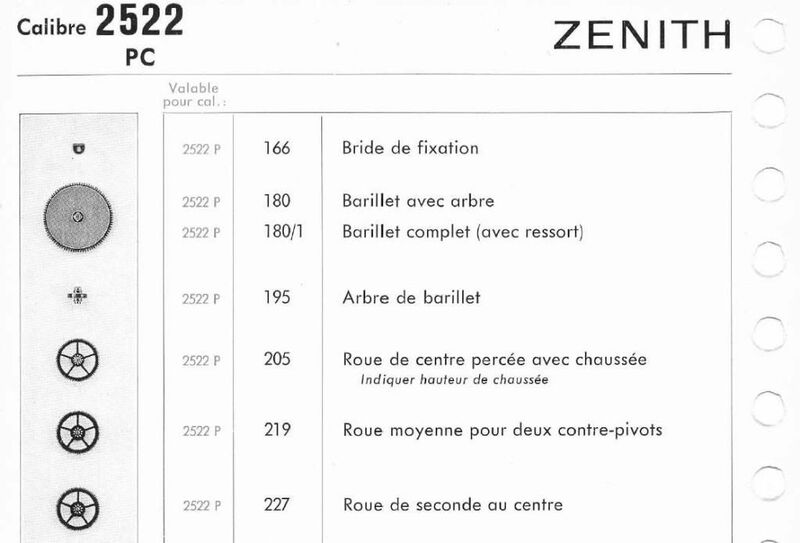 I would not expect to find detailed technical documentation for anything but quite modern watches usually. Ironically some Seiko documents from the 70's are very detailed - of course getting parts is the problem there as the Japanese tend to discontinue the manufacture of parts quicker than anyone in the watch world in my experience. Yeah, I've had trouble with more than one "Bride de Fixation" myself. Wait a minute. What are we talking about again? You mention sometimes you get a watch that wasn't put back together by the previous individual who did a service. What would be some examples? To me, I would think the watch would not function but then again, I have a limited knowledge of movements. Great answer, I certainly appreciate it. Like John, I am amazed a watch would still work even if assembled improperly. You would think something would go haywire. Which leads me to ask, are redundancies built into these watches? I would think not. Regarding the watches not being put back together correctly, or more simply put, inferior work being done on watches, unfortunately it's not uncommon. In particular when dealing with vintage watches bought off a certain auction site, well let's just say I do know watchmakers who automatically increase their price if they know that's where the watch came from. No doubt there are good sellers out there who accurately represent the watches they sell, but I receive many "just serviced and running great!" watches to service that do anything but run great. In some cases they run, but just barely. In other cases the calendar isn't assembled properly, so the watch runs but the date won't change properly for example. I've likely said it before, but when buying a vintage watch off that particular site, I always suggest considering the cost of a service in addition to what you pay the seller. Factor the service in from the start, and if you have to do it you won't get a big schock and disappointment. If you don't have to service it, consider it a discount! Thanks for the follow up Al. Good advice there on factoring in a cost of a service no matter what the seller says. Vintage watches are coming back to fashion now, and you should give us the best vintage watches. People at the australianwritings essay services will buy your watches, and I can guarantee you that. You have to believe me.